You just got your Working Holiday Visa? Are you ready for the big jump? You only need your passport and an address in Australia (it can be a Backpack Hostel, a Post Office or even an overseas address). Tip : You can open your account online before arriving in Australia with some banks (Westpac). It can be pretty useful if you want to transfer money to your Australian account before landing Down under! – Option 1: a bank transfer via your national bank. The problem with this option is that the costs are quite significant so you will lose some precious dollars! Even if your bank is saying that you won’t pay any fees, just think about the exchange rate… usually the bank will apply a lower rate than the actual market rate! – Option 2: Receive money via Western Union. This option will allow you to withdraw cash from one of the relay points, but the costs are high. – Option 3 (recommended): Transfer your money through a company specialised in international transfers. It will cost less than through your own bank and exchange rates will also be more interesting. For example TransferMate. Through our partnership with TransferMate you will get 25% discount, and you will only pay 11 £/$/€ per transfer (instead of 15 depending on which currency you are using) – regardless of the amount of money you want to transfer. Here you find more information about how to transfer your money to Australia. The TFN is a mandatory identification number to work in Australia. You will need to provide it to each employer and it will serve you when doing your tax return at the end of the financial year. If you hold a Working Holiday Visa you will usually not be able to get a phone plan only for the year. Therefore you will have to buy a “prepaid” Sim card. You can then recharge it whenever you want/need it. Expect to pay about AUD 30 per month to have some credit. If you use your national phone, make sure it is unlocked to all operators before leaving your country. The choice of the provider will depend on some criteria, for example if you intend to travel around Australia, we recommend you to go with Telstra as they offer the best coverage. However, if you intend to stay in big cities, you should have a good reception with any providers. Get an Internet connection and be connected! – Use your credit’s phone 3 or 4G prepaid package. Backpackers Hostels are for small budgets. 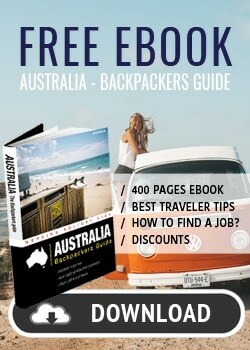 Most travellers with a working holiday visa stay in those at least for the first week. This is the best option when you arrive in Australia, as it gives you time to do your formalities, find a flat to share or buy a vehicle. Prices can range from $20 to $70 for one night and will depend on the location, the period of year and type of room you choose. In Sydney or Melbourne for example, minimum cost will be $25 in dorm and $45 for a private room. In high season (summer) these rates may increase by 50% to 70%! Even if there are a lot of backpacker hostels, it is recommended to book a room before arriving in Australia. Also note that rates may be regressive for bookings of a week or more. Backpack annual membership cards also exist at a cost of $30-45. 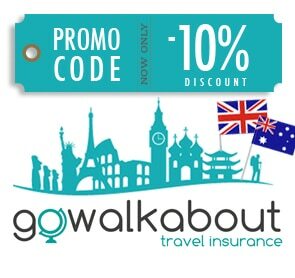 They allow you to benefit from discounts on all future bookings (10% overall). In Australia, there are thousands of hostels with different services and quality levels! To choose a good one and compare the different rates, it is best to use a comparator such as HostelWorld. Sharing an apartment in Australia is a good solution when you want to stay for a long time in a city and that your funds are limited. A flatshare will allow you to save money and enjoy a bigger apartment or even a house to share! It’s also a great way to meet people! For a double room in Sydney CBD it will cost you approximately $150/week per person, $250/week for a single room. Need more tips? 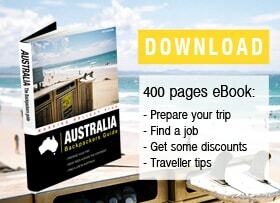 Discover all the steps detailed in The Australia Backpackers Guide.